Do you wanna be a superhero and save our beautiful planet? 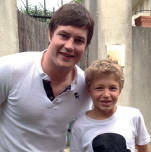 Have a break and discover our new production, with children from Henri Wallon school in Trappes, near Paris. We thank all our clients and partners for having visited our stand during the "Salon des Solidarités" in Paris. We were pleased to welcome Mrs Annick Girardin on our stand, French Minister of State for Development and Francophony. OREC media, creating great moods! OREC media attended the 13th workshop of the « Association Française des Fundraisers » in Paris (23th to 25th june 2014). We have moderated the 1st round table, dealing with relationship marketing and multichannel fundraising, with Florent ARGENTIER (Cercle du Marketing Direct), Matthias PAPET (ecotour.com), Yvan SAVY (Plan France) et Sarah WISNIEWSKI (La Poste). Do not hesitate to contact us for facilitating your events and conferences on following topics: CSR, social business, fundraising, philanthropy, humanitarian action and international cooperation. 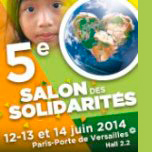 Let's meet on June 12th, 13th and 14th at the Parc des Expositions in Paris for the 5th Exhibition of Solidarities. Come and discover our media supports specifically designed for associations, NGOs and foundations (audio, video & print). We are currently developing a short film dealing with social work and the key role that play associations and solidarity NGO’s. 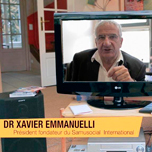 We would like to thank Dr Xavier Emmanuelli, President and Founder of Samusocial International, and the staff for their cooperation and availability. These leaders come and reply to all the questions that young viewers want to ask, about environment, solidarity and citizenship. 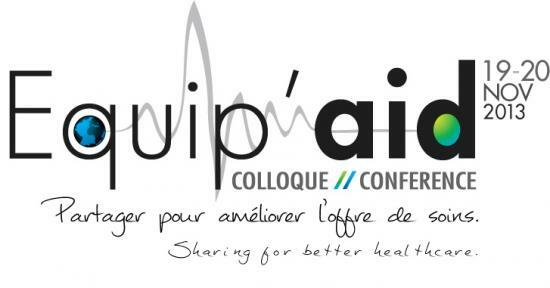 Our team participated in the round tables and workshop facilitation during the Equip’Aid Conference (Chamonix, November 2014). 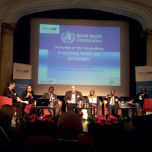 This event was organized by the French NGO Humatem, with the support of WHO.